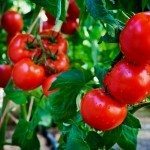 I want to grow tomatoes indoors during the winter. 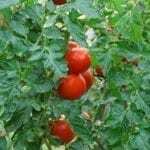 How many hours should I have the lights on and how many off to produce the tomatoes? I am growing Roma Tomatoes specifically. Please and thank you!